Do I need to bring traveller checks or lots of cash? NO! Credit cards are readily accepted & there are ATM's in the village that will give you Belize bills. Bring some cash for the folks selling crafts, tamales, fresh shrimp, etc. 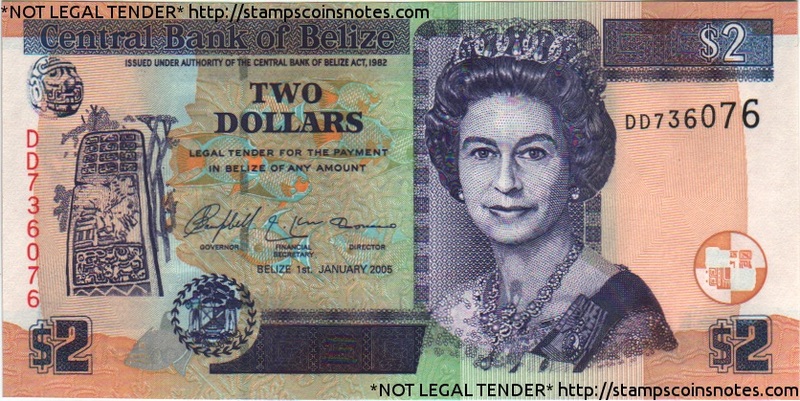 The Belize Dollar is permanently fixed at a ($1US = $2BZ) exchange rate. This makes it makes it a little more relaxing to get around, shop and enjoy yourself. Credit cards (Visa and MasterCard) and travelers checks are accepted at most places. Leave your American Express card at home. No matter what you bring, please be sure to keep all cash, CC & traveller checks in the safes provided. What do the 2 houses share? ** Make sure your passport is valid for 6 mo after your arrival. What electricity does Belize use? The time zone is Central Standard. Daylight savings is not observed. So part of the year they are the same as Denver, the other part of the year they are 1 hr ahead. What is the beach like in front of the houses? Nice sandy bottom & only a couple feet deep....very kid friendly! It is usually calm in the mornings and choppy in the afternoon. Our beach is raked every morning, so it is free of seagrass & trash. Having said THAT....it changes constantly. The Caribbean can be calm, clear, windy, no waves, big waves, no seagrass, mounds of seagrass, occasional jellyfish, some trash, no trash and about once a year the entire region is having trouble with a type of ‘seaweed’ called Sargassum. It comes & goes, depending on the tides and the season. We have no control over it but will try our best to keep the beaches nice for you. Yes, Bring your own computer. It is 'fragile' & CANNOT handle streaming, or large uploads/downloads. Placencia Snorkeling: snorkeling, dive trips, Inland tours, Chartered Fishing trips, Island Adventures, Monkey River Tours. After you arrive, Martin & Diana can help you book : They have a much better idea what guides to call, who other guests recommend & who is currently offering trips. What is Placencia Village like? The hard question: Is the area safe? YES! but you have to be smart: On the streets & in the houses. In the house: Use the safes 24hr/day, lock up when you go down to the beach, don't invite strangers up on the decks. LOCK UP AT NIGHT! There are burglaries here & there--they want your STUFF (cash, laptops, phones, sunglasses, cameras) so if you have that stuff locked up or on you, you should be fine. How do I book one (or both) of these AMAZING houses before someone else does? You will take a CROWED, COLORFUL bus from Belize City to Belmopan and then Dangriga, and then transfer to a bus to Placencia. Private taxis can also transfer you to and from the houses for a price of around $275 US each way. **** For a group of four, the private taxi & rental car is less expensive than flying. Full Kitchen; microwave, coffeemaker, blender, and more! We provide 5 gal jug of water, even though the tap water is fine to drink. A house that is filled with fun details and fun colors! Walking distance to the area's best restaurant (Maya Beach Bistro), a market & small bowling alley.